Good food is synonymous with Thanksgiving. This annual event that began in the North Americas is a national holiday that is usually celebrated with a turkey. It commemorates the Harvest Festival celebrated by the Pilgrims in 1621 and is held every 4th Thursday of November. It is traditional Thanksgiving at its best at Chef Jessie Restaurants at Rockwell Center, Makati, Citibank Tower, Makati and Eastwood, Quezon City. Start off with Watercress, Fiddlehead Fern, Cherry Tomatoes and Edible Flowers Salad and follow it up with a rich Butternut Pumpkin Soup. Freshen your palate with Celery Tarragon Mint Sorbet. Choose from two main courses of Roast Tom Turkey with Onion, Sage, Orange, Chestnut and Apple Stuffing in Giblet Gravy and Cranberry Compote or Pan Fried Baramundi Fillet in Lemon Butter Caper Sauce served with Homemade Mashed Potato and Sauteed Brocolli Florets. Dessert is a slice of Traditional Pumpkin or Pecan Pie ala Mode with coffee or tea. 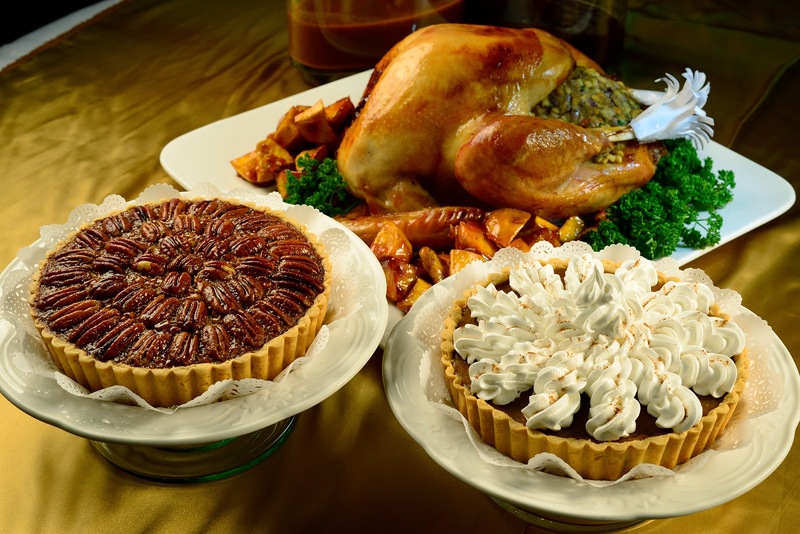 This Thanksgiving meal is available for lunch and dinner at P1,500++ per person. For reservation, visit or call Chef Jessie Rockwell Club at the Ground Level, Amorsolo Square, Amorsolo Drive, Rockwell Center, Makati with telephone 890-6543 or 890-7630; Top of the Citi by Chef Jessie on the 34th Floor, Citi Bank Tower, Paseo de Roxas, Makati City with telephone 750-5810-11; and 100 Revolving Resturant, 33rd Floor, MDC Building, C5 corner Eastwood Drive, Quezon City, with telephone 962-1016 and 962-5654.